You have been saving for a trip for months. Suddenly, you lose your phone and have to get a new one. Or your child falls ill, and they need to be taken to a doctor. Or it’s your boss’s birthday, and everyone has to put money towards an excellent gift and party. Incidents like this may jeopardise all the months that you spent saving and skimping. However, do not postpone or cancel your travel plans. There is wisdom in travelling smartly rather than expensively. Even if you have a pretty tight budget, you can still cut out large expenses and manage to plan a pretty great trip. Start planning months ahead of departure. Look for cheap deals on tourist guides and attractions. Many websites offer discounted prices around holidays. 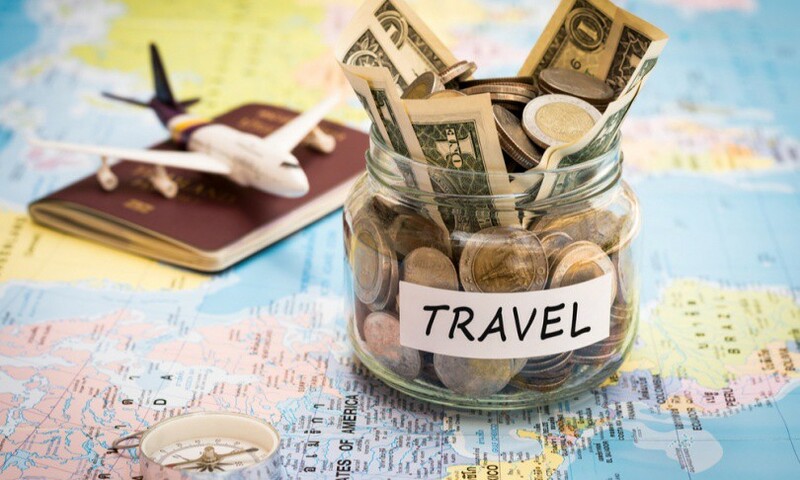 Divide your savings on the days of the trip and set a daily spending cap. Figure out a travel itinerary that still fits around your daily budget. Join Facebook groups of fellow travellers who have visited the area. Ask questions and take notes on how they managed their budget while they were there, where they stayed, what they ate. You will also get advice on what attractions are worth spending on and which ones you can just skip. Organise your trip at an off-peak time when fewer tourists are expected. Not only would this give you a chance to have a relaxing trip without the swarms of tourists everywhere, but it will also cost less. Local shops reduce prices in off-seasons. Airlines often offer discounts at such times which will cut back on ticketing expenses. Track your mileage and purchase flights with points to get further reductions. Accommodation is one of the most significant costs while one is travelling. Hotels can be a luxury costing anywhere from tens to hundreds of dollars per night. It is unfortunately not possible or practical to sleep on as local authorities may take offence to that. So, if you have friends in the country, ask them if they would be generous enough to host you. You can pay back in grocery and help them cook/clean the house. If that is not an option, co-sharing hostels are cheap. People sleep on bunk beds and share a toilet. Many hostels offer free meals which take away another expense. Sure, they don’t come with fancy bedding and room service, but they’re not too shabby either. After all, it’s another experience. Moreover, inns are also an excellent alternative to hotels. They may be far from the main attractions, but you can commute through public transport and walk part of the distance if it means that you’re getting a fresh bed to sleep in every night. Food joints marketed to tourists are always overpriced. Rather than eating at a fancy restaurant, buy food from street stalls and vendors. Another perk is that the waiting time is negligible and you can enjoy a scenic view while you sit on a park bench and eat. Ask the locals where they like to eat and where you are likely to get good deals. Walk around the city and look for hole-in-the-wall cafes. The farther you move from the city centre, the lower prices will get. Many towns also have charity-sponsored food stalls that offer free meals. If you have access to a community kitchen, buy fresh produce and cook your own meals. Walk everywhere. Not only is that sustainable, but it will allow you to experience the culture with more clarity. This way, you can check out local knickknacks and interact with the citizens who are usually very eager to help out tourists. You’d be surprised at how many tiny details you’d notice about the urban landscape on foot. If you have to go far, don’t take a taxi for it can be expensive. Many cities have an excellent public transport system that costs a fraction of the price of a cab. Renting a bicycle is another superb option. You can rent one for an entire day and peddle everywhere. The country or city you are travelling will very likely be different from your home town in terms of food quality and hygiene. Not only would you have to get accustomed to a lifestyle difference, but also a change in diet and water. In case there’s a risk of contracting a stomach bug, take preventative medication to help with digestion. This way, you won’t have to pay a doctor’s fees in a strange country. If you suffer from headaches or migraines, keep a nasal spray or prescription medicine from Click Pharmacy in your medical kit. Buying medicines locally can be a hassle as they are marketed with different names in different countries and the pharmacy may require a doctor’s appointment and written prescription before selling you any. Again, that’s a whole can of worms you do not want to get into. Book tours weeks ahead of time. Prices tend to go as the time comes closer. You can also make use of any specials or discounts when booking online. Booking on the spot may seem convenient, but there’s no guarantee if any tickets will be available or not. Also, many attractions are free for tourists. Museums often have ticketed displays as well as non-ticketed ones. There are often free yoga and cooking classes. What better chance to learn a new cuisine? Team up with fellow travellers. If you know someone who is travelling at the same time to the same country, then ask them if you could book stuff together. Group activities tend to be more fun because there are a lot of different people thrown together. There are often discounts on tourist attractions and carnivals when booking as a group. You can share a hotel room and split costs between everyone. It may not be the most luxurious trip, but it is guaranteed to be an adventurous one.